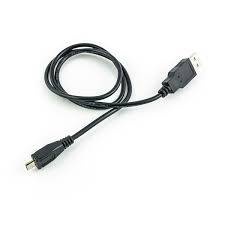 Micro USB cable to used with a mains wall charger which is designed for an electronic cigarette. We do recommend these are only used with the correct wall plug or a device eg - laptop, computer, TV, etc. NOT a charger from another device eg - phone charger, as the power output can be too high and damage the batteries.